Severe weather conditions from thunderstorms to tornadoes and hurricanes often make homeowners nervous because these conditions can result in major property damage. While property damage is usually caused by the most severe storms, a power outage may occur in any mild storm or inclement weather. Power outages do not cause property damage themselves, but the consequences of losing power can be dangerous for your home. Losing power will shut down your HVAC system, refrigerator, and most importantly, your sump pump during a storm. The cost of the damage that can result from a failed sump pump alone is enough to consider purchasing a backup power generator for your home. If your area loses power during a storm, there is no telling when the power might come back on. A backup power generator can provide temporary power during an outage to keep your HVAC system, appliances, and sump pump running which can save you thousands of dollars in property damage. Homeowners have several options available when it comes to purchasing a standby generator and it is important to consider every option because backup generators are quite an investment. This guide explains the benefits of having a backup power generator for your home and the types of generators to consider. Why Should I Get a Backup Power Generator? When a storm occurs, it is impossible to predict what type of effect it can have on your home. Any storm can cause a power outage, and power outages can also happen at any time due to other issues such as equipment failure or damage to the equipment from trees and wildlife. A backup power generator protects your property from the effects of a power outage by providing temporary power for days after a disaster. Backup generators can keep important systems and appliances running in your home, including your sump pump to keep your home protected from flood damage. Before purchasing a backup generator, you must first determine if it is worth the money for your specific situation. If you live in an area that is prone to severe storms, flooding, or prolonged power outages, then it might be worth the cost of a backup generator to prevent thousands of dollars in damage. Portable generators are more affordable than permanent generators. The two main types of standby generators are portable and fixed, or permanently installed generators. Fixed generators are permanently installed in the home and they are connected directly to utility lines that provide it with fuel. These generators are very powerful and they will automatically detect a power outage and provide backup power. This is especially beneficial if a power outage happens when you are not at home. However, installing permanent generators can be expensive. Portable generators are the other main standby generator option. These generators are more affordable than permanent generators and they can effectively provide power to your home during an outage. Portable generators are a better option than permanent generators if power outages rarely occur in your area. The one disadvantage of portable generators is that they do not turn on automatically and take over the power when an outage occurs like permanent generators. 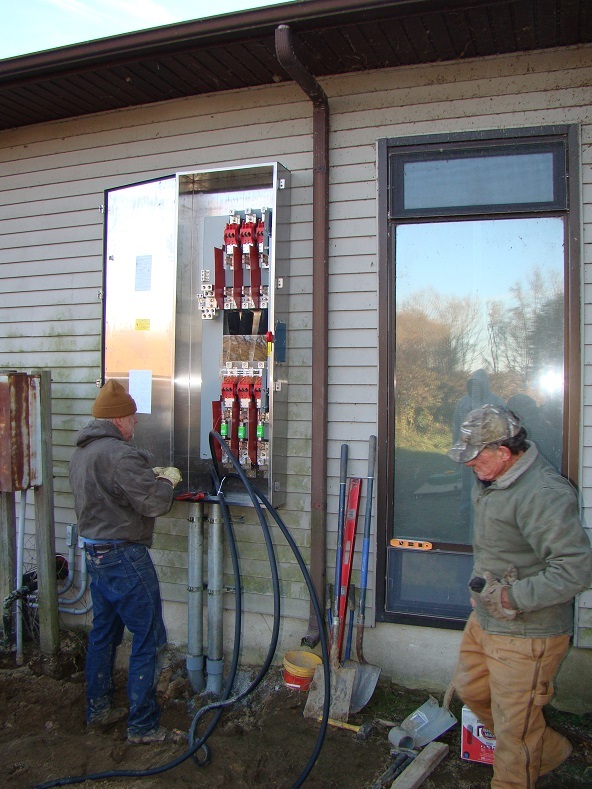 Control panel installation for a permanent backup generator. Natural Gas and Propane: Generators powered by natural gas and liquid propane typically have fuel lines connected to the supply. These generators are more efficient than generators that run on gasoline and you do not have to worry about refueling them with the direct connections. Any damage or disruption to the supply lines can prevent natural gas and propane generators from working, however. Gasoline and Diesel: There are more portable generators that run on gasoline or diesel because permanent generators that run on gasoline require installing a fuel tank as well. You can power fuel generators without your utility companies as long as you have gas, but the price and demand for gas tends to surge during emergencies. 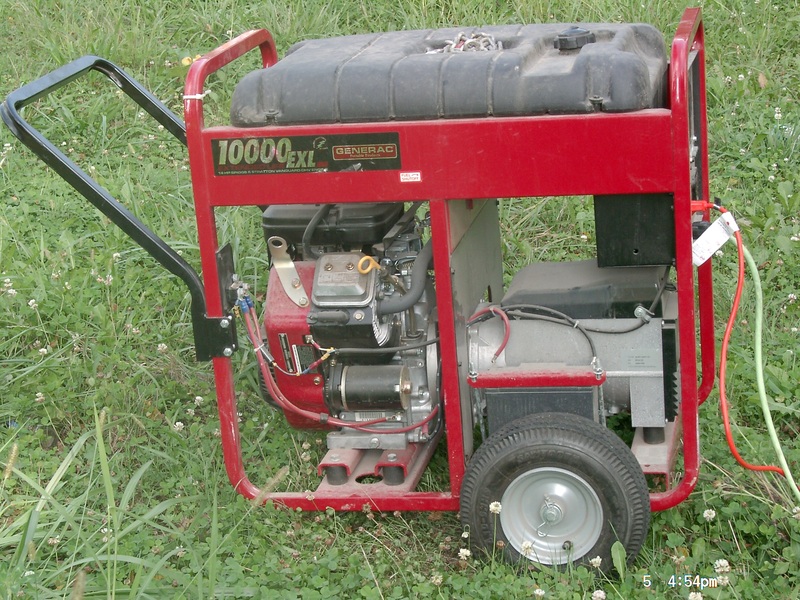 You must always have a supply of gas on your property in case of an emergency if you have a gas-powered generator. The final major feature of backup generators is the built-in cooling method. The engines in generators need a cooling system to prevent them from overheating when running for long periods of time. There are two main types of cooling systems that are used in power generators; air-cooled systems and liquid cooled systems. Generators with air cooling use fans to draw in cool air and exhaust hot air. Generators that are liquid cooled have a radiator system that uses a liquid coolant to cool the system. Instant Backup Power: As soon as the power goes out, you can resupply your home with temporary power to keep the HVAC system, sump pump, appliances, computers, and other items running. Saving of Food: When the power goes out, so does your refrigerator. It only takes four hours of no power for meat, eggs, and other food products to spoil. A backup generator will keep your refrigerator running and prevent your food from going bad. Climate Control: As mentioned above, a power outage can cause the heating or cooling to stop running. You can keep your HVAC system running during a power outage with the backup generator and maintain a comfortable temperature in your home. Sump Pump: Sump pump failure is one of the biggest fears with a power outage because this can result in major flooding in your home. A backup generator will keep your sump pump working properly to protect your home from floods. Frozen Pipe Prevention: If a power outage happens during the winter, it could shut down your heat and cause the temperature to drop in the home. This could lead to frozen and burst pipes that can cause significant damage. Keeping the heat on with a backup power generator will help prevent frozen pipes and keep your home at a comfortable temperature. Avoid Leaving the Home: A power generator can provide several days’ worth of power so you do not have to leave your home during an extended outage. While there are many benefits to getting a backup generator for your home, they are only worth the cost if major storms and power outages happen frequently in your area. Purchasing a backup generator can also provide you with peace of mind knowing that you are covered if a power outage should occur unexpectedly. If a major storm hits your area and causes damage to your property, then you need to call professionals for storm damage restoration services. These professionals can effectively repair damage to your home caused by a storm, and provide temporary backup power if you do not have a backup generator.